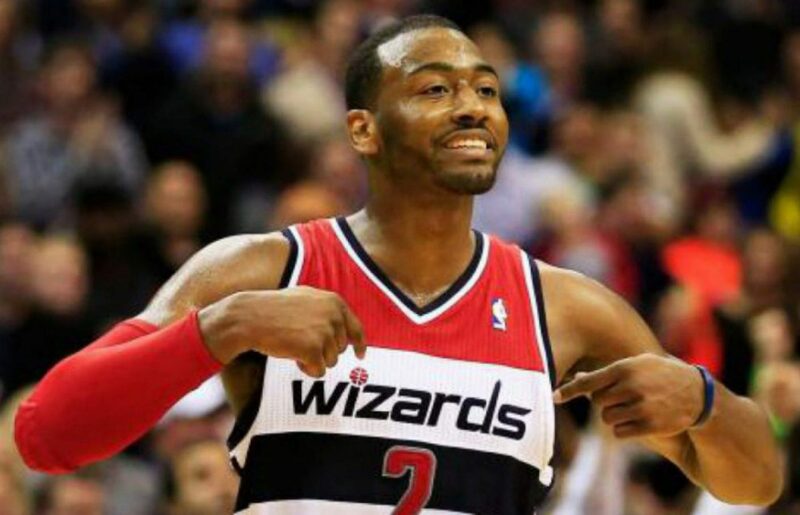 The Wizards overcome a 21 point deficit and end up blowing out the Kings 113-97 behind 31 points from John Wall. The Wizards made a season high 13 three pointers on 26 attempts (50%). Additionally, the Wizards have won three straight for the first time since January and look to slowly be turning the corner. This one did not start off well for the home squad. DeMarcus “Boogie” Cousins was hot from the field to start. Boogie knocked down three long jump shots to start and neither Drew Gooden nor Marcin Gortat had an answer for him. Marcin Gortat got going early for the Wiz. Gortat finished with 13 points and five rebounds playing on Polish Heritage day. Bradley Beal on the other hand did not start off hot from the field. Beal went 1-5 from the field in the first quarter. His only made field goal was a put back lay in. Beal had some very bad misses included an air ball. Andre Miller had a little pep in his step playing against his former team. Miller started the game with four assists in the first quarter alone and ended with seven. The second quarter was pretty disastrous for the Wizards as they allowed the Kings to score 39 points. 39 points was the most given up by the Wizards this season in one quarter. The Kings shot 75% from the field in the second quarter and it was Boogie Cousins who continued to dominate down low. The Kings led 64-46 at halftime and things were not looking good for the Wizards. The Wizards came out on a mission in the third quarter. With the Kings’ lead at 19, Pierce drove and hit a tough jumper. On the next possession down, John Wall pushed the ball in transition and found the truth in the corner for a three pointer. The lead was now cut to 12. John Wall got in on the long-range shooting knocking down two three pointers in the quarter and four overall for the game. The Wizards dropped 38 points in the quarter and just trailed by one, 85-84 going into the fourth. At the 10:08 mark of the fourth, John Wall found Ramon Sessions in the corner for a three. The Wizards regained the lead 89-88 and never relinquished it the rest of the way. The Wizards used an 11-0 run to stretch the lead out to nine and that was that. Boogie Cousins fouled out at the at the 6:43 mark of the fourth quarter and the Kings and no one else to score. Props to Dejuan Blair and Drew Gooden for frustrating him in the second half. The reserves closed this one out and the Wiz win 113-97 only allowing 33 points in the second half. I don’t want to jump to conclusions and say the Wiz are back but their play as of late has been much better to watch. Things get tough as Portland comes to town on Monday then the team goes out west for a four game road trip.